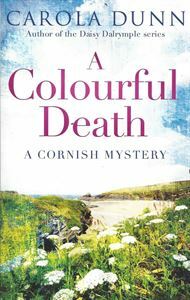 After a lifetime of travel and experiences, widow Eleanor Trewynn is more than happy to retire to the sleepy village of Port Mabyn in Cornwall - but unfortunately, excitement seems to follow her around! Her friend and neighbour, artist Nick Gresham, discovers several of his paintings in his shop have been slashed and destroyed. The finger of suspicion rests on rival local artist Geoffrey Monmouth but when Nick and Eleanor go to have it out with him, they find Monmouth's stabbed body in his studio - and Nick is immediately flagged up as most likely suspect.